Just over three hour's drive south of Perth, Pullman Bunker Bay Resort Margaret River offers the ultimate getaway. With direct beach access, this spectacular Western Australia hotel allows guests to relax, recharge and unwind - in truly stunning surroundi ngs. Guests looking to explore the surrounding area can visit nearby Dunsborough, Yallingup and the amazing Margaret River wine region. Geographe Bay is well worth a look, or for visitors who want to explore the deep, scuba diving tours are available. With an amazing beachfront location, Pullman Bunker Bay Resort Margaret River is the ideal getaway destination. With Bunker Bay beach on the doorstep and Geographe Bay and the Margaret River wine region a short distance away, guests can indulge and relax. Luxuriously appointed and beautifully spacious, guest rooms at Pullman Bunker Bay Resort Margaret River offer everything needed for a relaxing, peaceful stay. Guests staying at this extraordinary hotel can choose from a range of accommodation options, wit h studio, one and two bedroom bungalow-style villas available. Each villa features lake or garden views, an outdoor courtyard or deck, boardwalk access to the beach, a kitchen or kitchenette, a flat screen TV and DVD player, and an iPod docking station. Other Side of the Moon is a stylish restaurant and bar featuring modern Australian cuisine underpinned by a Mediterranean feel. Overlooking Bunker Bay and the sweeping Indian Ocean, this is a perfect spot for that romantic evening. 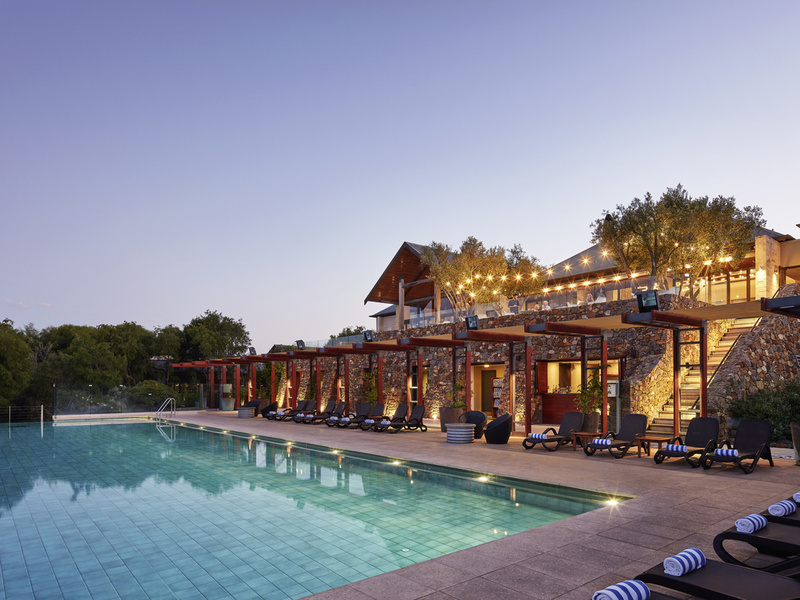 Select from an array of local wines produced in the Margaret River Wine Region or tempt yourself with a selection of enticing light chef special meals. lovely, quiet and relaxing atmosphere. Very enjoyable and being an Accor plus member certainly adds to the enjoyment of staying. The resort can get expensive when eating meals there so by joining Accor plus and being able to eat at 50% discount adds to the pleasure of staying at Pullman Bunker Bay. They have a captive audience for dinner as you generally find that you can't be bothered doing the drive into Dunsborough at night. We were upgraded for our wedding anniversary that was also a plus. We enjoyed our stay except for a few things that I was very disappointed with . 1. I ordered a cocktail it arrived in a chipped glass I bought to to the attention of the bar staff who just apologized but did NOT replace my drink or Glass !!!!! So very bad .... So that was a very expensive drink Secondly I and my husband thought the breakfast was very poor . The eggs were cold the bacon was greasy and undercooked beans were tasteless with thin sauce . Blueberry were also tasteless probably frozen . All in all a very disappointing breakfast . My villa was nice, and spacious and was in quite area. The pool has a nice view. Stunning location and rooms, except need better coffee facilities in the room. Beautiful stay in a beautiful region. I enjoyed the stay very much. But one disappointment was that I booked the romantic escape package and the wine as well as the anti pasti platter were not ready in the room when we arrived. I asked for it at reception and then they added it later. This was a bit of a disappointment, though the wine was enjoyed later. No issues, pleasant and helpful staff. Rooms clean and tidy and well presented. Lovely hotel resort with wonderful staff. Excellent buffet breakfast although at times they seem to be a little under staffed keeping up with replenishment. The pool is fantastically heated to a dreamy 26c so swimming in any weather is a pleasure. Our 2 bed villa was spacious and comfortable and well equipped but I think the kitchen area was due for a deep clean in places. We would have liked to have stayed for dinner at the resort but the menu was very limited for vegetarians. Overall a wonderful stay in a beautiful location. Very clean, relaxing and close proximaty to water was great. Food was very enjoyable. One problem with TV in room, was in the morning it kept turning off and would only stay on for a second or two.....no idea what the problem was. My husband was very hot in the room and would have liked a top sheet on the bed. Everything else was great. Better TV viewing selection would have been good - ie Netflix with some good movies. The Foxtel options were very limited. Overall experience was great. Only issues were: the outdoor eating area which needs to be swept daily (it’s always covered in squashed olives) and the luggage buggy which was a no show when we checked out. Very average high cost stay ! Completely as expected, again. Food was brilliant especially the breakfast. Room was ready and well equipped. Very quiet. A Fabulous Seaside location nestled into the bush. Thoroughly enjoyed staying here. The room was lovely, the service was excellent, the meal at &quot;The Other Side of the Moon&quot; was absolutely delicious. A faultless stay. We stayed there a decade ago. I can't believe how the resort now seems to be nestled into the landscape as the vegetation has grown. It is more harmonious. Comfortable and restful in a glorious location. A repeat of previous excellent stays. We had a special request for our accommodation which was obligingly granted. The quality of the meals was outstanding, but mostly we reserve praise for the service ethic of the staff. The location is breathtaking, staff are all lovely and the food ohhhhh is exquisite !!! The only thing that let it down was the room, I was expecting a little more than what we got for $400 a night if it was ocean views then that’s acceptable but for a little lake not quite what I had in mind. Also when our room was cleaned the same bedding was used which I only noticed as my partner accidentally spilt coffee on the duvet. But apart from those two things we really enjoyed our stay. Overall, my stay was wonderful Location was fantastic, staff very helpful and facilities top notch. Only word of caution is the limited menu for vegetarians.